The circular from Nevsun includes a unanimous recommendation from the Nevsun board of directors that shareholders tender their shares to the Zijin offer. Nevsun Resources (TSX:NSU) and Zijin Mining (SHA:601899) have today (September 14) announced that they have filed and mailed circulars with regard to Zijin’s previously disclosed friendly take-over bid to acquire all of the issued and outstanding shares of Nevsun for C$6.00 per share in cash. The filing and mailing of the Zijin take-over circular formally commences the take-over bid and sets an expiry date for the bid of December 28, 2018 unless the offer is accelerated, extended, or withdrawn. 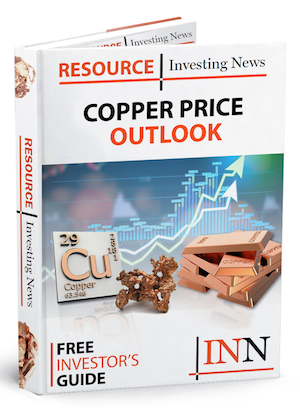 The cash consideration of C$6.00 per share represents a premium of 57 percent over Nevsun’s unaffected closing price of C$3.82 on May 7, 2018, the day Lundin Mining first publicly announced its intention to acquire Nevsun. In addition, the offer is C$1.25 per Nevsun share, or 26 percent, more than the C$4.75 per share hostile take-over bid for Nevsun launched by Lundin on July 26, 2018. Click here to read the full Nevsun Resources (TSX:NSU) press release.